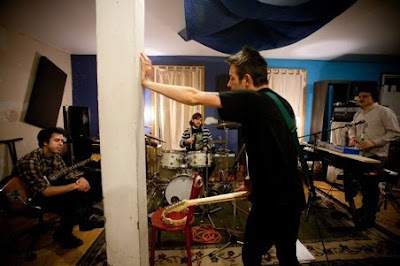 Parades - Loserspeak In New Tongue from staplemgmt on Vimeo. Great new video for a great song. "Loserspeak In New Tongue" from the wonderful debut album, "Foreign Tapes", from Sydney's Parades. Here it is ladies and gentlemen. 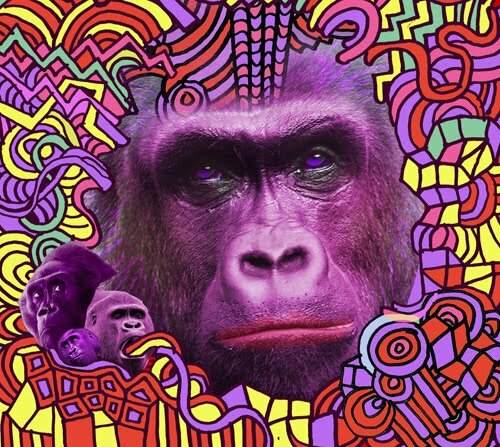 The album cover for the new Wolf Parade record. "Expo 86" still doesn't have a definite release date, probably late June or early July, but at least this is a start. If At Mount Zoomer's cover was somewhat strange and problematical, then this one is something I love. Love, love, love. Plus, we know the music will be amazing. July 27. Mark this date in your calendar. For this is the projected release date of "Mines", the new album from Menomena. This Portland, Oregon trio are truly creative and staggeringly talented, so this is something to definitely look forward to. Barsuk will deliver the goods. Animal Kingdom is the latest Australian film to create a buzz. Earlier this year it won the World Cinema Jury Prize at Sundance, winning widespread acclaim for its depth of quality. Now this trailer gives a little more to be excited about. This film comes to cinemas in June and is the feature length debut for director David Michod. It stars Ben Mendelsohn, Guy Pearce and Joel Edgerton and is sure to be one of 2010's most talked about films. Last year in Melbourne we were lucky enough to catch Rat Vs Possum as a support act to the wonderful Handsome Furs. They were full of energy, delighting us with their sense of rhythm and floating melodies. Fast forward to April 2010 and they now have a debut album for us to enjoy. "Daughter Of Sunshine" contains 7 sweet tracks and is out now on Sensory Projects. All of the songs are good, but my standouts are "River" and "Binti Jua". Forming in Melbourne in 2008, this foursome produce sounds that are spectacular, eminently danceable and deliciously melodic, with Casio keyboards and five piece drums to the fore. Rat Vs Possum are playing a few shows around the country in May, including two in Sydney. I encourage you to check them out. Earlier this year I went and saw The Road. It was a harrowing and bleak experience, although it still contained its own form of beauty. Of course the film was based on a Cormac McCarthy novel and I was then excited to read the book of the same name. I have just finished it and I am now determined to read ALL of his work. I was that impressed. McCarthy's words flow like few other writers. His topics are often dark and disturbing, but his language is sheer beauty. His ability to encapsulate the visual is second to none. Of course I previously saw No Country For Old Men, also based on one of his novels. This film was a veritable masterpiece, an instant classic. So I think I might make that the next McCarthy that I plan to read. Now comes some exciting news. Two more McCarthy books are making their way to the silver screen. 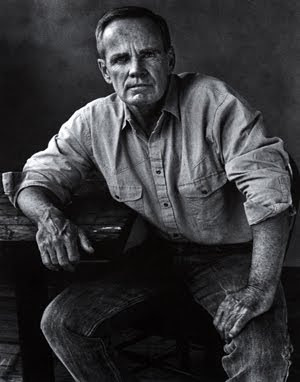 In 2011 we will see Blood Meridian, to be directed by Todd Field (In The Bedroom). Then in 2012 we will receive Cities of the Plain to be directed by Andrew Dominik, whose previous film was the magnificent The Assassination Of Jesse James By The Coward Robert Ford. I look forward to both these productions immensely. Now, here are some quotes from The Road. Please enjoy. "There is no God and we are his prophets." "People were always getting ready for tomorrow. I didnt believe in that. Tomorrow wasnt getting ready for them. It didnt even know they were there." "He walked out in the gray light and stood and he saw for a brief moment the absolute truth of the world. The cold relentless circling of the intestate earth. Darkness implacable. The blind dogs of the sun in their running. The crushing black vacuum of the universe. And somewhere two hunted animals trembling like ground-foxes in their cover. Borrowed time and borrowed world and borrowed eyes with which to sorrow it." Pearly Gate Music is the music of Zach Tillman. On May 18 Barsuk Records will be releasing his first album. 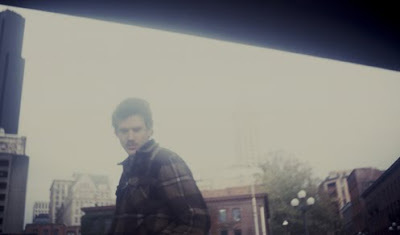 Based in Seattle, Tillman is the younger brother of J Tillman, who is also the drummer in Fleet Foxes. This self titled release contains 10 tracks and from what I have heard it will be one to look forward to. If you like the music of the other Tillman then I do believe you will find something to enjoy here. 4 Oh, What A Time! "As a nation of free men, we will live forever, or die by suicide". 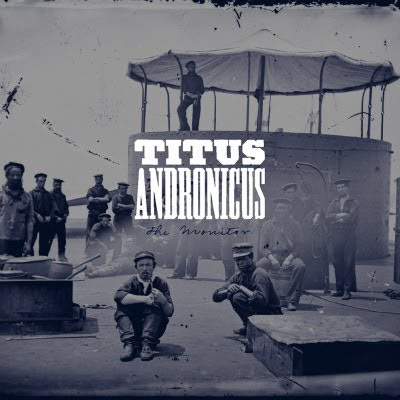 So said Abraham Lincoln in 1838, so begins the opening of "The Monitor", the incendiary, dynamic, commanding and totally persuasive second album from New Jersey's Titus Andronicus. If their debut was a shot across the bows, then this follow up is a blast through the walls, a storming of the gates. A statement of such ambition and scope that it is truly and utterly compelling. I fall at its majesty. This imperious album is a concept of sorts. The title is taken from the USS Monitor, the first ironclad warship commissioned by the US Navy. In 1862 it engaged the CSS Virginia in The Battle Of Hampton Roads, also the title of the closing track. Both warships fought to a standstill, before retreating in damage mode. This album is a parable for our times, associating the turmoil of 148 years ago with the disfunction of today. It is angry, abrasive and at times cathartic. It is full of such passion and energy that each and every listen reveals another splatter shot of emotion. This is perfectly illustrated in the cannon blast opener "A More Perfect Union". After the Lincoln quote we are given spits of anger, super charged with a rallying guitar riff and ferocious drumming. An angry man stuck in Massachusetts longs for his home in New Jersey. "Because tramps like us baby we were born to die". Indeed! Anger gives way to desperation on "No Future Part Three", a desperately sad and lonely tale of uselessness. Its ending refrain of "You will always be a loser" might become a live staple singalong but it breaks my heart whenever I hear it. This song rollicks at such a pace that you might forget to stop and listen to the lyrics. I implore you make sure you do stop and listen. "Richard II" begins with a hypnotic drum beat and its jolly tune is in direct contrast to the bloodthirsty tale of the fourteenth century English king who ruled for a brief and starkly tyrannic time. After this impressive start we come to the heart of the album. "A Pot In Which To Piss In" is half a tale of sad desolation and half a fiery and humorous shove in the face to any detractors. As Patrick Stickles notes "You ain't never been no virgin, kid, you were fucked from the start". This song is also the most diverse on the album, featuring honky tonk piano, soaring horns and long drawn out jammy guitar. To complete the picture we receive Craig Finn quoting Walt Whitman at the end. The segue from this to the next song "Four Score And Score" takes my breath away every single time. As Stickles whispers "This is a war we can't win, after ten thousand years, it's still us against them" we realise the heart of this astonishing album. Humanity can sink to its lowest ebb, be debased and nearly destroyed and yet fight on. But, but ultimately never learn a lesson from the wrongs of history. As we fight to claw and survive we forget the ways and means that we are connected. "It's still us against them" he cries in vain. After this torrent of powder keg rock we probably need a breather. The almost jocular "Theme From Cheers" brings us back to the simpler tale of drinking and carousing. But we push onto the end and what an end it is. "The Battle of Hampton Roads" is fourteen minutes of bleeding humanity, of blood soaked drama. The welding of the story of monumental futile naval battles and the desolate destruction of a young modern man is told with furious belief. With forthright and direct consequences. Oh and yes the horn section fused with drumming is designed to take your breath away. But the bagpipe solo is surely there to make your heart stop. "The Monitor" is as ambitious and as near perfect an album that I have ever heard. The band and guests pull all the elements together perfectly. It is a glorious accomplishment to make music this visceral and impassioned. This intelligent and surprisingly this fun. All tied together by the vision of lead man Patrick Stickles. His voice is like a chainsaw attacking a mighty oak tree. It curdles the blood and unleashes the demons. It is the mighty stuff of gaping humanity. So is this wondrous album. "I am in earnest. I will not equivocate, I will not excuse, I will not retreat a single inch, and I will be heard. "-William Lloyd Garrison, 1831. The first time is always special. That is, seeing a band or artist for the very first time. There is that distinct anticipation. That feeling of excitement growing. Return visits give a different feeling, a different perspective. If a band has new material, then that obviously changes the dynamic as well. How does that affect the set list. If the newest album is a bit ordinary, do you suffer through the new tunes, maybe wishing for those 'golden oldies'. 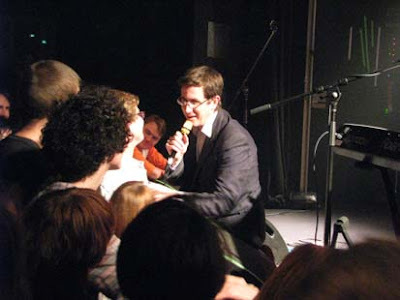 Tuesday night at the Manning Bar was my third time seeing The Mountain Goats. My first time with them in 2007 was ultra special, a night to never forget. In 2008 they came again and it was very, very good. But maybe not quite as great. At that show we received a lot from "Heretic Pride" and those songs were a treat live. So fast forward to 2010, their first show here since the release of "The Life Of The World To Come". Now this album has generally received good reviews, but I found it underwhelming. A great beginning and a great end, but a big soggy hole in the middle. So it turned out that this show had similar qualities for me. It had moments of sheer greatness and moments of stark beauty. 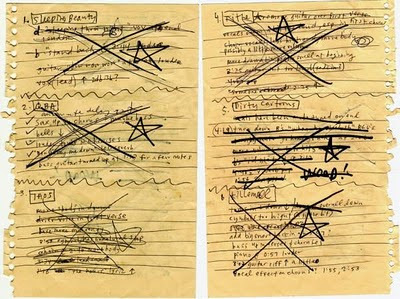 But, but, some songs didn't quite get there for me. So Peter Hughes and Jon Wurster entered the stage and started up with "Samuel". Soon John Darnielle entered and set up on the keyboards. Like the album this song was a perfect opener, with John showing us that he is deftly talented keyboardist. He was to ply this instrument on a handful of new songs during the night. But third up was "Romans", a distinctly average song in my opinion. It is just too much light guitar pop, containing none of that fierce Darnielle passion. "Isaiah" didn't feel a lot better. But then we received a massive treat. John was left alone on stage and he pulled out 3 songs that I had never heard before. Apparently they were all from the 'Alpha Series' and he rarely plays them at all. They were fantastic! Wonderful! Full of fiery passion and heartfelt angst. It also gave us the old taste of just John on guitar. Now I realise that this band are a different beast now and that Messrs Hughes and Wurster are very talented, but I think I would kill for a solo Darnielle show. Sorry I know that's probably a dead idea, but I just had to go there. Of the newer songs "Deuteronomy" is one of the best and it was muchly enjoyed. Then a great moment of the night occurred. Some enlightened punter yelled out a request for "Hast Thou Considered The Tetrapod" and John was so impressed by the clarity of the request that he decided to play it. And play it they did. Fantastic. Power and rage in full flight. The show ended with a bang too. A haunting rendition of "Song For Dennis Brown" followed a hilarious story of how Dennis Brown was really not John Darnielle's step father. The live staple "This Year" slayed us all again and the band closed with a ferocious "Ezekiel", quite possibly the best song from the new album. An encore followed and it was superb, closing ultimately with a fierce and uproarious "Houseguest", which saw John get up close and personal with the devoted audience. They returned for one last song and it was "The Best Ever Death Metal Band In Denton". Yes ,we all got to scream "Hail Satan" one more time. So, it ended. I was happy. Who isn't at a Mountain Goats show. But deep down I think it could have been better. 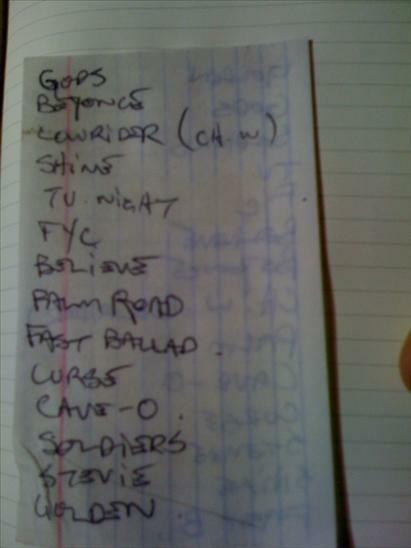 Maybe a better selection of newer songs and even something from "Heretic Pride". But I have to say the band were in fine form and John was being his usual self. That is, a prince among men. Giving, generous, funny and just a gem of humanity. It's hard to complain too much. Especially after receiving the 'Alpha Songs'. A fourth time in the future? Oh yes! No Doubt. This was a pleasant surprise. On May 11 we will receive a new album from New York's Woods. 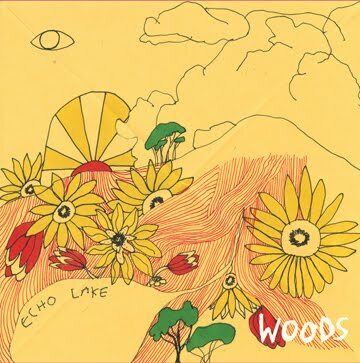 Woodsist Records will release "At Echo Lake" and if it's half as good as last year's "Songs Of Shame" then we are in for a mighty treat. Led by vocalist Jeremy Earl this band have an incredible talent for writing songs full of rich melody and strange signatures. I have a feeling 2010 is going to turn out pretty good indeed. Sorry for the lack of updates around here, but work has been crazy busy. Anyway here is the magnificent Wolf Parade playing a new song in Toronto last week. It is named "Fast Ballad" on the set lists doing the rounds but obviously it will have a new title on the new album. Can't wait for that one to surface. Not too far away now! They could have played forever. They didn't have to stop. They had my heart, my lungs, my everything. This was too short. Too brief. But, oh what memories. Memories of song, of songs, of singing. The Avett Brothers are living and breathing song. Every musical note is designed for one thing only. To make and create the song. The melody. It is pure and honest. No artifice. Only heart and bone. Blood and sweat. Some tears. Monday night at The Factory we met The Avett Brothers and they brought us much joy. In this, their first Australian visit, they charmed us. Captivated and slew us. "Go To Sleep" was a perfect opener. Its rollicking melody was apt and gave us all a jolt of joy. The set up for this song was the routine set up for most of the night as well. 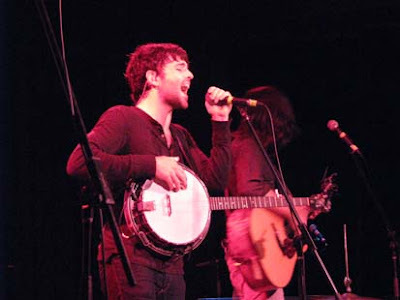 Scott Avett on banjo and lead vocal. Seth Avett on acoustic guitar. Bob Crawford on stand-up bass and Joe Kwon on cello. Let me just say that all four men are instinctive and distinctive musicians. Each plucked or bowed string played with a deft and very human touch. For some tunes keyboards and drums were used, but only sparingly. After a great opening the show never left up. Whether it was a great ballad like "Shame" or a gentle tune like "Backwards With Time" or the stand up and shout "Paranoia in B-flat Major" it was all pretty great. But there were definite highlights. A personal favourite in "Famous Flower of Manhattan" was touching and evocative. For "The Ballad Of Love and Hate" Seth was left alone on stage and I am sure he moved many people to tears with a stark rendition of this great song. "Tear Down The House" was dark and painful, another reminder of how this band can open the door to your heart. Then exquisitely the set was closed with "I And Love And You" which was as close to perfection as a live song can be. Scott Avett, I am currently in love with this man, made us believe the power of these three little words. Gratefully we received an encore, consisting of the powerful "The Weight Of Lies" before a howling jam of "Old Joe Clark" and a Led Zeppelin cover. Infused in this ending was a banjo solo and a mean bass solo. Oh, by the way banjo should be a mandatory instrument in each and every band. The odd timbre of this instrument tickles the heart in ways unknown. So, this night was special in just so many ways. The Avett Brothers have a direct line to the heart. A knack for writing direct and affecting lyrics. Voices that float and make the hairs stand up. A genuine and considerable love for the music they create and for the audience that takes the journey with us. If you haven't made the journey yet, don't worry there's time to get on board. 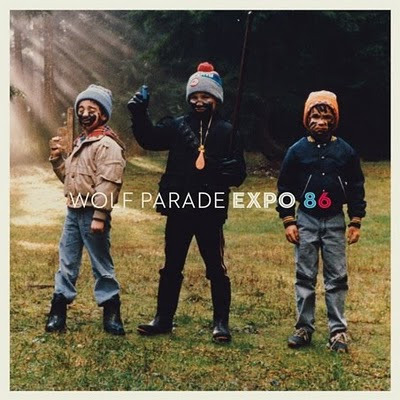 In an excellent and insightful interview with Pitchfork, Dan Boeckner had revealed that the new Wolf Parade album will be called "Expo 86". "It was a World's Fair that happened in Vancouver in 1986. It's been this thing we all talked about as a band. We all grew up in British Columbia, and we were all at Expo, which lasted about three or four days. It's a weird little thought experiment-- basically, we were all young children at the same big event. I remember Expo 86 was as big as the Olympics were this year in Vancouver. They completely reorganized part of the downtown core, and they built this giant geodesic dome called "Science World". Now it looks completely, totally dated and a product of its time. They built monuments, built rides. It was something I don't think we're going to see in Canada ever again because World's Fairs have fallen out of favor, at least for the Western World." Dan also sums up perfectly how he sees the Wolf Parade sound. "Maximalism-- like, a kind of wall of counterpoint. There's a lot of melodies going on within the songs. Not just the vocal melodies, but there's an underpinning of drums. At any given time, there's five or six counter-melodies running against each other, with the vocals kind of fighting for supremacy. I mean, if we have a sound, I think that's it." A perfect description. On Thursday night the band played at Imperial de Quebec in Quebec City, their first show for quite a while. 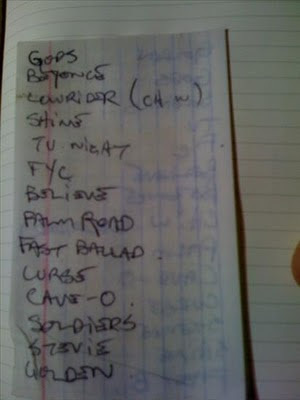 The set list reveals that they played seven new songs. Reports are that they all went down a treat, but I am still waiting for any videos or recordings to surface. Dante and Dan also played some keyboards to make up for the loss of Hadji Bakara. They also encored with "Kissing The Beehive". The band will do a full North American tour in July, just after the release of the new album. Excited? Yes!! !